Stirling Properties has recently been awarded the exclusive commercial tenant representation for United PF Partners, a Planet Fitness Franchisee Group, in the greater New Orleans area. 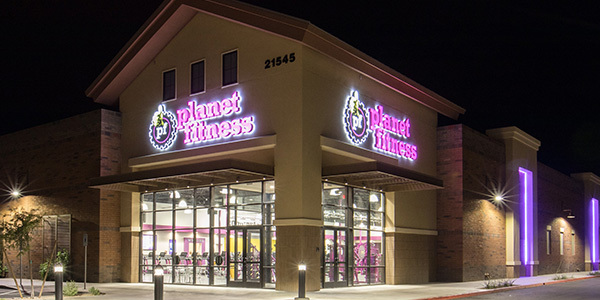 Planet Fitness has become one of the largest and fastest-growing franchisors and operators of fitness centers in the U.S. by number of members and locations. With more than 1,600 locations in 50 states, Canada and Latin America, Planet Fitness has continued to spread its unique mission of enhancing people’s lives by providing an affordable, high-quality fitness experience in a welcoming, non-intimidating environment. United PF is the largest Planet Fitness Franchisee Group in the nation and growing at a pace of over 20 new clubs per year. There are currently seven Planet Fitness locations in the greater New Orleans area, including Covington, Gretna, Kenner, Metairie, New Orleans (Crowder Blvd. ), River Ridge, and Slidell. Moving forward, United PF’s expansion goal is to ensure total market penetration, allowing convenient and affordable fitness access for all consumers in the market. Ryan Pécot and Carly Plotkin, Stirling Properties’ Sales and Leasing Executives, are the exclusive tenant representatives for United PF and are working to secure new retail locations for the fitness franchise. “We are thrilled about our latest partnership with Stirling Properties. With their additional expertise, we look forward to inviting new community members into our clubs and increasing convenience for our members in the Greater New Orleans region,” said Seth Parker, VP of Club Development for United PF. For leasing information, contact Ryan Pécot at rpecot@stirlingprop.com | (337) 572-0246 or Carly Plotkin at cplotkin@stirlingprop.com | (504) 620-8120.